The STF-1 team continued progress on various components of the spacecraft during the past week. 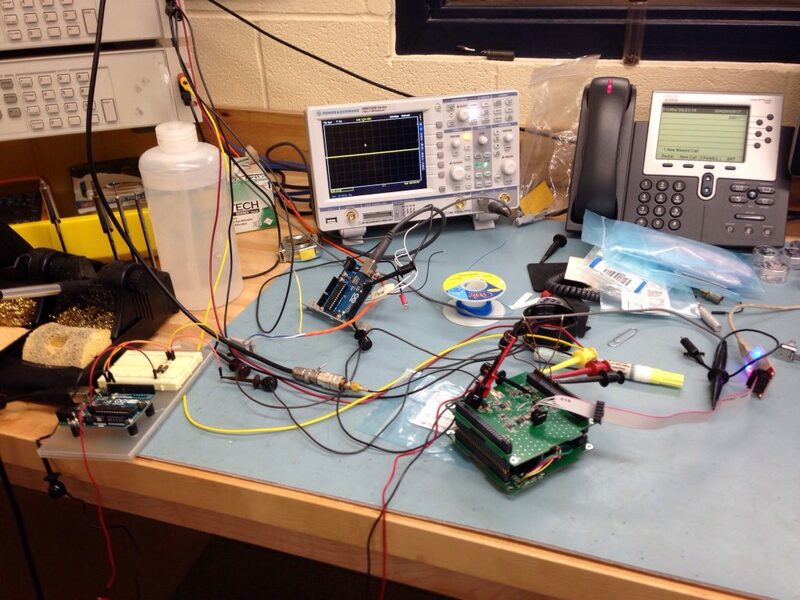 The WVU Physics and Astronomy department is contributing an instrument to analyze space weather in the ionosphere. The instrument contains a Langmuir Probe for measuring properties of plasma and a Geiger counter for measuring ionizing radiation. 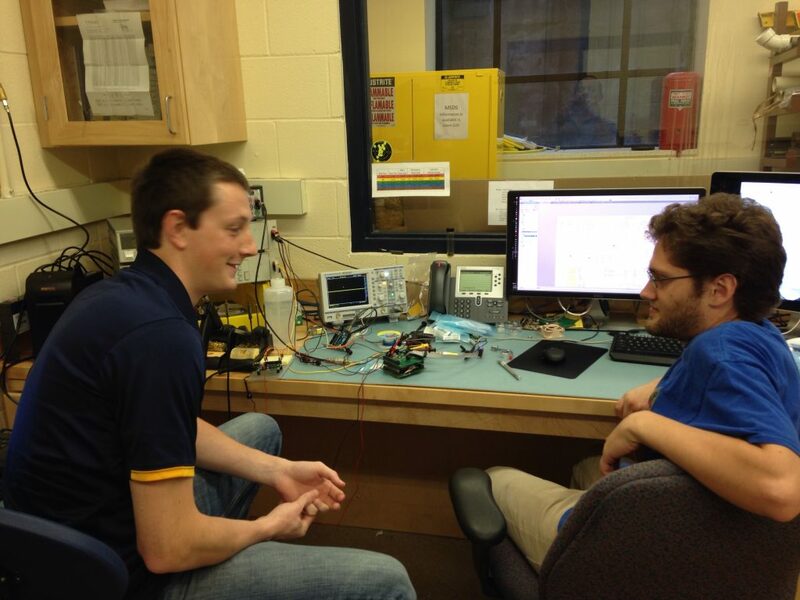 During the past week, the final flight board assembly was completed and testing of the firmware for the microcontroller and of the hardware was executed in the physics lab in White Hall at WVU. 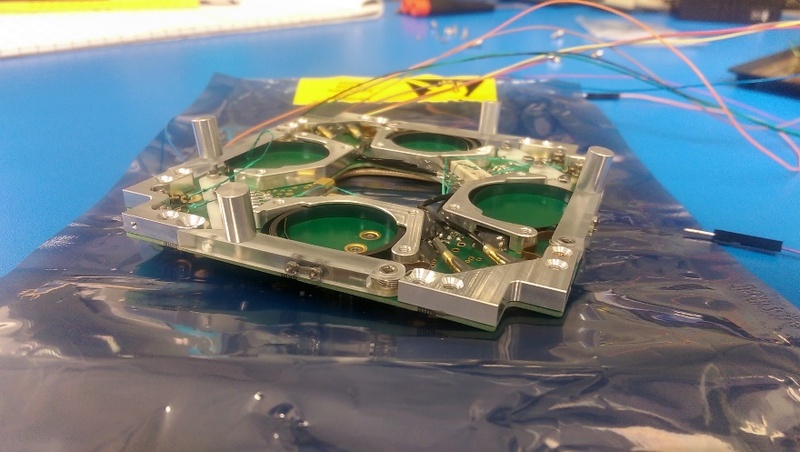 The various components that will eventually comprise STF-1 each must be tested in isolation prior to being ready to integrate into the chassis and then the entire spacecraft being tested. 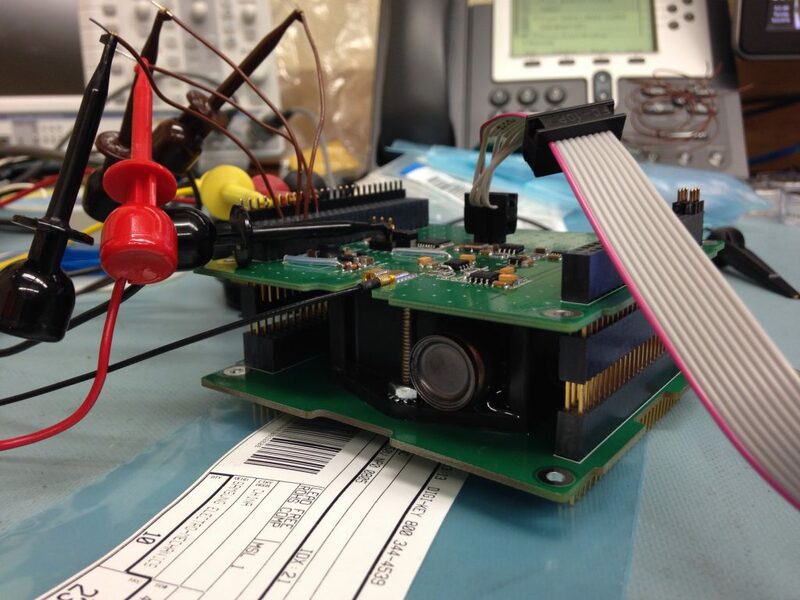 The STF-1 team has begun unit testing the ISISpace Antenna System (AntS) in the cleanroom this past week. The AntS is made up of four individual elements that deploy when commanded from the on-board computer. These elements can be in a multitude of configurations, but STF-1 will be utilizing the dual dipole. This means the each antenna is linked with the one directly across from it. The picture above shows the antennas are rolled up and ready for deployment. Each antenna has a burn-wire that holds it closed. When activated the resistors underneath this wire will heat up and cause the wire to break and allow the springs to open the door. Each antenna is actually the same material as a tape measure with similar properties. 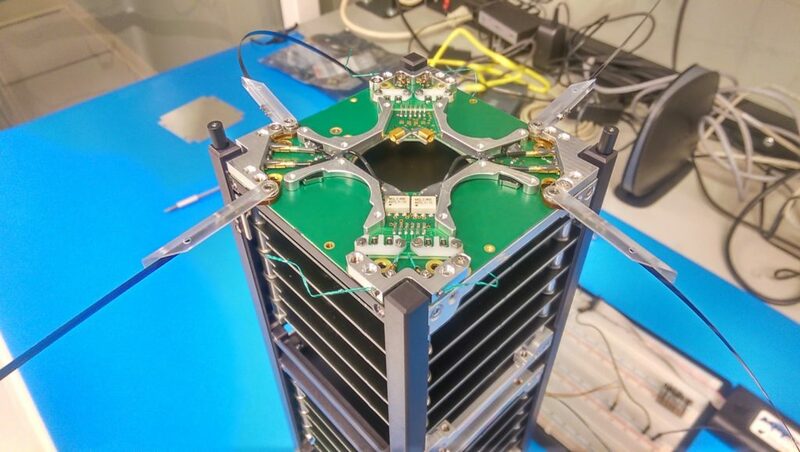 STF-1 will use one dipole (or set of connected antennas) to communicate with the ground station and the other as a Langmuir probe to perform experiments for the Physics department at WVU. Each antenna can only be deployed twice, once on the ground and once in space. Because of this, video was taken to document the process.